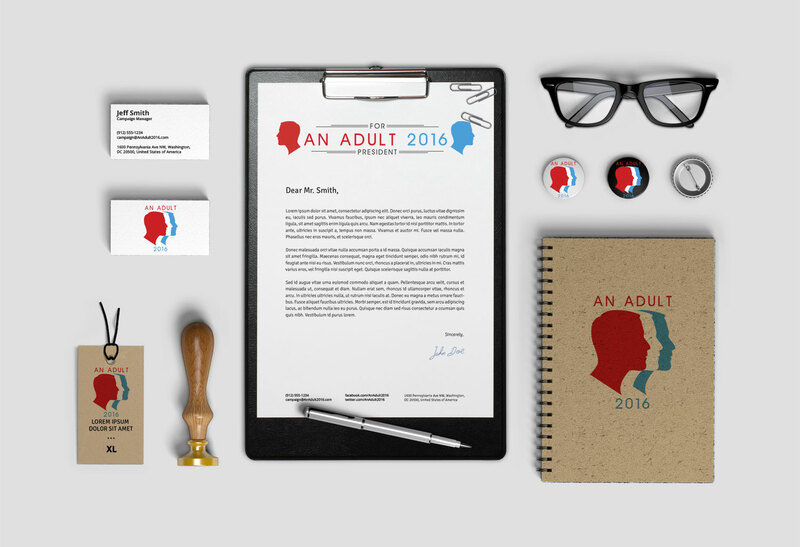 The political movement, An Adult for President 2016, needed a professional looking logo and brand identity. 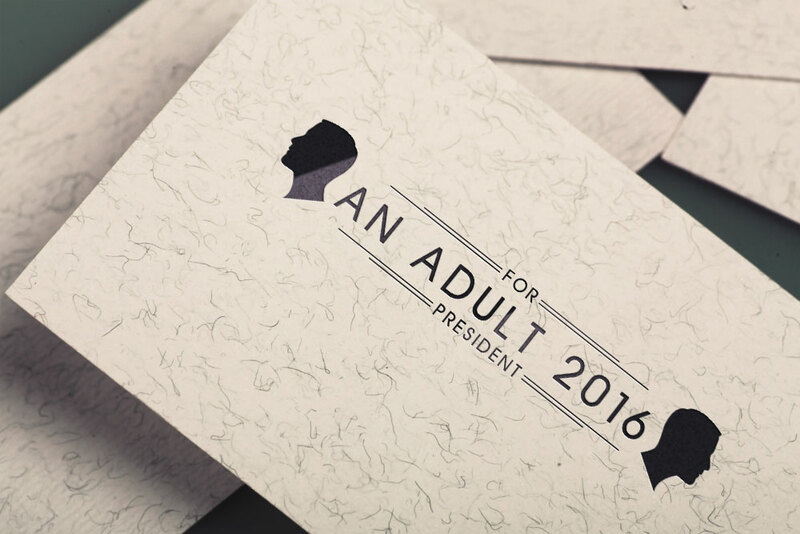 the studio provided a classic looking political logo and brand identity for the movement to be displayed on print media and digital media. 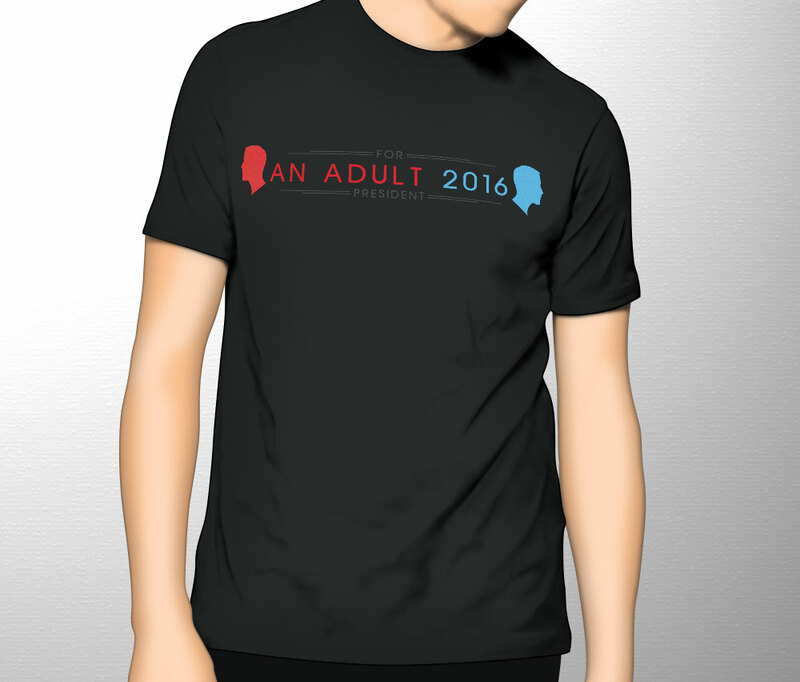 The group also utilized the logo on merchandise, including t-shirts, mugs, pins, posters and more. The design and concept of the logo/brand incorporated classic design elements found in political campaigns, including the party red and white colors, small details and lines, lettering, and the anonymous candidate silhouette.